WASHINGTON -- President-elect Donald Trump has selected Georgia Rep. Tom Price, a leading critic of President Barack Obama's sweeping health care law, to head the Department of Health and Human Services, according to a person familiar with the decision. If confirmed by the Senate, Price would play a central role in Republican efforts to repeal and replace the current health care law. Trump has pledged to move quickly on overhauling the landmark measure, but has been vague about what he hopes to see in a replacement bill. The president-elect has said he favors keeping provisions that allow young people to stay on their parents' health insurance and which prevent insurance companies from denying coverage to those with pre-existing conditions. Trump is expected to announce Price's nomination as early as Tuesday morning. The person familiar with decision insisted on anonymity because the person was not authorized to discuss the matter ahead of the official announcement. Last week, Price said that whatever Republicans do to replace Obama's health care law will bear a "significant resemblance" to a 2015 measure that was vetoed by the president. That bill would have gutted some of the health care law's main features: Medicaid expansion, subsidies to help middle-class Americans buy private policies, the tax penalties for individuals who refused to get coverage and several taxes to support coverage expansion. The bill would have delayed implementation for two years. Price insisted that Republicans can keep the protections for those with existing medical conditions without mandating that all individuals carry coverage or pay a penalty to support an expanded insurance pool. 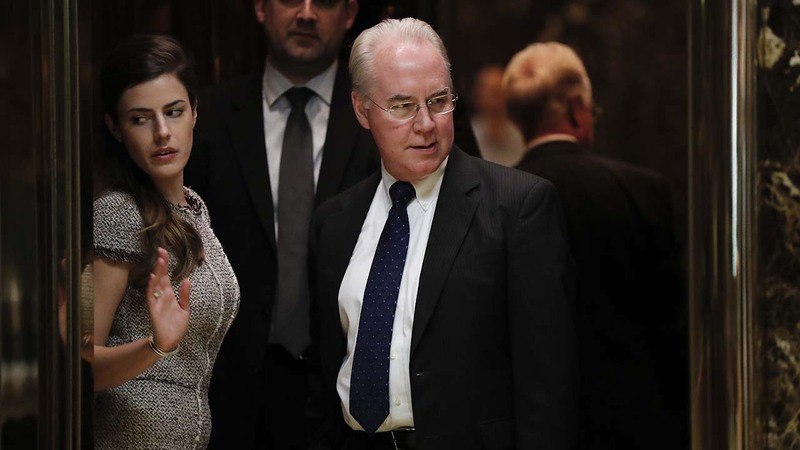 Price said Republicans want to address "the real cost drivers" of health care price spikes, which he said were not necessarily sicker patients, but a heavy regulatory burden, taxes and lawsuits against medical professionals.